Recently while trying to remove a domain from the federation trust I received the following error. 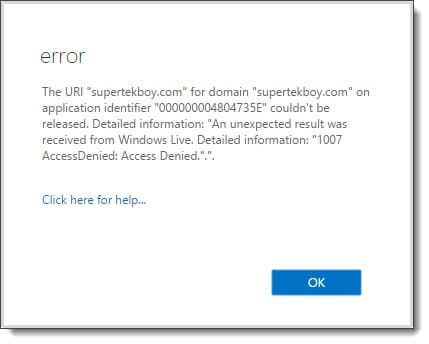 The URI "supertekboy.com" for domain "supertekboy.com" on application identifier "000000004804735E" couldn't be released. Detailed information: "An unexpected result was received from Windows Live. Detailed information: "1007 AccessDenied: Access Denied.".". Despite the almost cryptic error, this one is actually quite simple to fix. In this particular case, the time in my domain was 5 minutes behind the rest of the world. 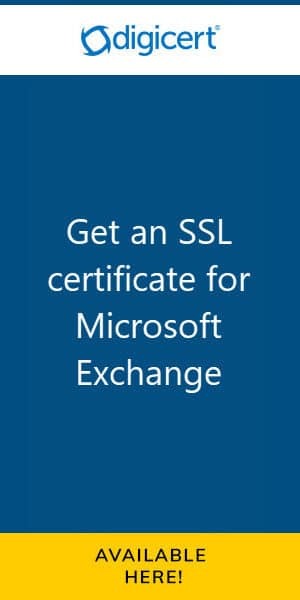 Or more importantly, 5 minutes offset from the Microsoft Federation Gateway. As soon as I brought my time forward I was able to immediately release the shared domain from the federation trust. Error 1007 can occur while making other configuration changes to the federation trust. It is not just linked to releasing a domain. So if you see this error while performing any task with the federation trust, check the time on your Exchange boxes.